Saint-Hilaire-d'Aude or Saint Hilaire Abbey is a medieval Benedictine monastery in a small village south of Carcassonne. It has a lovely cloister and an important work of Romanesque art inside the church: the sarcophagus of St. Sernin by the Master of Cabestany. The earliest chapel on this site was built by St. Hilary, the first bishop of Carcassonne, in the 6th century. Hilary was buried in the chapel. In the 8th century, an abbey was founded here and the monks replaced the small chapel with a larger church. The abbey was connected with St-Michel-du-Cuxa Abbey in the 10th century. On February 22, 970, the relics of St. Hilary were discovered and the abbey was re-dedicated to him in place of St. Sernin, the first bishop of Toulouse. This was done on the order of Count Roger I and Countess Adelaide of Carcassonne, who became patrons of the abbey, adopting the Benedictine rule. The couple were buried in the abbey church around 1012. What remains of the abbey today was built mainly in the 11th-14th centuries. The monastery was badly damaged during the Albigensian Crusade (1209-29) and restored by Abbot William (1237-60). The cloister was built under Abbot Bertrand of Touron (1323-40). In the 14th century, Saint-Hilaire experienced major financial difficulties, owing largely to the devastation of the Black Death and Hundred Years' War. In the 16th century, the abbey came under a commendatory abbot, who was not elected by the monks. As a result, Saint-Hilaire was ruled by a succession of wealthy aristocratic abbots who ignored their duties, bringing the abbey into further decline. After centuries of such misfortune, the abbey was closed in 1748 by Monseigneur de Bezons, Bishop of Carcassonne. The abbey buildings were sold and, in 1758, the abbey church became the parish church of the town. The spire of the church was added in 1898. The Romanesque church at Saint-Hilaire dates from the end of the 12th century. It is short, almost Greek-cross shaped, with a single nave, square transepts and a large semicircular apse at the east end. The unfinished Gothic nave dates from 1257. The left transept, which is a chapel dedicated to the Virgin Mary, contains an altarpiece of gilded wood dating from the 17th century. It was originally installed in the town's parish church but was moved here in 1726. The star attraction of St-Hilaire-d'Aude is on the right side of the apse: the marble sarcophagus of Saint Sernin, designed by the Master of Cabestany in the mid-12th century. This unknown Romanesque master with a unique style created several works of art in Southwest France, Tuscany, Catalonia and Navarre. His sculpted figures are characterized by triangular faces, weak chins, low foreheads, stretched cat-like eyes, long fingers, and detailed pleating in their clothing. The sarcophagus is carved from a single block of Pyrenean marble and is so narrow that it was probably not intended as an actual sarcophagus. It may have been used as the high altar. The detailed sculptures tell the story of St. Sernin's ministry, arrest, martyrdom and burial in Toulouse. Also known as St. Satunin, he was the first bishop of Toulouse and died around 257 AD, the period of the Decian persecution. The narrative begins on the right panel and ends on the left. The end panels are difficult to see because they are set close to a wall, but on the right panel there are three standing figures, representing St. Sernin (center, with crozier); St. Honest, Bishop of Pamplona and Sernin's successor in Toulouse (on his right); and St. Papoul, who evangelized the Lauragais region between Toulouse and Carcassonne (on his left). On the front panel, the right side depicts the arrest of St. Sernin as he preaches in Toulouse, holding a book. Onlookers watch from a building on the right, which may represent the Capitol building in Toulouse. Left of this scene on the front panel is the martyrdom of St. Sernin. The bishop is tied to the hooves of a bull, who is goaded by persecutors with a stake in his hide and drags St. Sernin through the streets behind him. The bishop accepts his fate calmly, even finding the strength to bless two female saints as he passes them. The left end panel depicts the burial of St. Sernin: a woman tenderly caresses his head while his soul (represented as a small child) leaves his body to be received by an angel above. On the far left, St. Sernin's tomb and shrine are shown. Angels pour out incense above, and female pilgrims sit below. On the north side of the church is the lovely Gothic cloister (c. 1330), with 54 pointed arches supported by slender double columns. The capitals are eroded and mostly carved with foliage designs. From the south gallery, there is a fine view across the garth to the north flank of the church. Next to the cloister is the Capitulary, with an impressive 16th-century painted ceiling. Closed for the Christmas holidays. Abbey of Saint Hilaire: 8th-14th centuries. Brochure provided at the abbey. 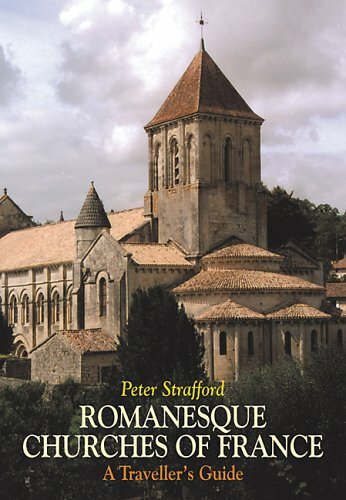 Peter Strafford, Romanesque Churches of France: A Traveller's Guide (London: Giles de la Mare, 2005), 312-14. Below is a location map and aerial view of Saint-Hilaire-D'Aude Abbey. Using the buttons on the left (or the wheel on your mouse), you can zoom in for a closer look, or zoom out to get your bearings. To move around, click and drag the map with your mouse.